It's time for some bathroom remodeling and the ancient cast iron bath tub has to go. We are replacing it with a Sterling four piece modular shower. This uprade will require some teamwork with a plumber to convert part of the plumbing over to pex and install shut-offs and new plumbing for the shower. 1) Remove the tub. This tub was cast iron and extremely heavy. It took three men to carry it out. 2) With the tub out bring in the shower base unit and confirm that the drain will line up with the existing floor drain from the bath tub. In our case there was a misalignment and we couldn't simply re-cut the drain opening due to a heavy support beam directly in the way. Therefore we needed to extend out the existing back wall an inch and a half. We nailed in 2x4s horizontally to the existing wall studs every 18 inches from floor to ceiling and leveled them with shims as necessary. With the old tub out we prepared the walls for the new shower. Our plumber brought in new pex tubing and installed shut offs. Not having had a shower before required us to install two 2x4s vertically for a supporting surface for the new plumbing going up to the valve and shower head. 3) Build a wall opposite the plumbing end of the new shower to support the shower wall. Make sure it is straight and vertical. 4) With the wall in, check the fit once more of the shower base unit (pan). Make an outline of the pan and then come in a bit and mark the area that will need mortar. 5) If all is good, start mixing mortar. We used Mapei floor and wall tile mortar. Get the mortar to the consistency of peanut butter and spread it on the floor to depth of an inch or two in the area under the pan and about three to five inches in from the outside edges. When its all even and in place, let it rest for ten minutes per the package directions. 6) Carefully set the pan on the mortar and level it on all edge surfaces. When it is level leave it alone to let the mortar set for 8-12 hours. 7) Install the back wall. Seat the tabs on the bottom of the wall in their slots and push down carefully until the wall seats. There will be a small gap of 1/32” at the bottom mating surface. 8) Screw the back panel into the horizontal stud behind it every 8-10”. Shim if necessary to attain a vertical wall. 9) Install the opposite plumbing end wall. 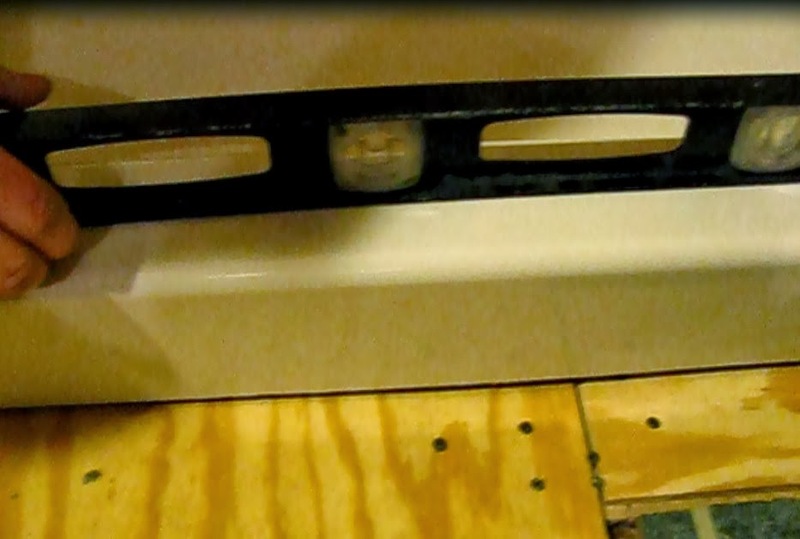 But first lay down a bead of silicone sealant at the surface where the wall meets the floor. Again fit the bottom tabs into the slots and shim as needed for a vertical wall. Screw in the top and outside edge every 8-10 inches. 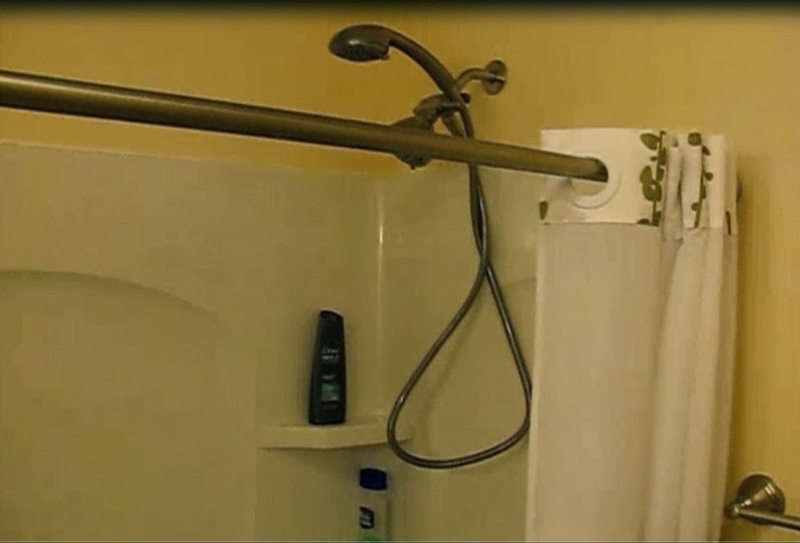 10) When the plumber has finished up his work on the faucet and shower head, mount the plumbing side wall and level. 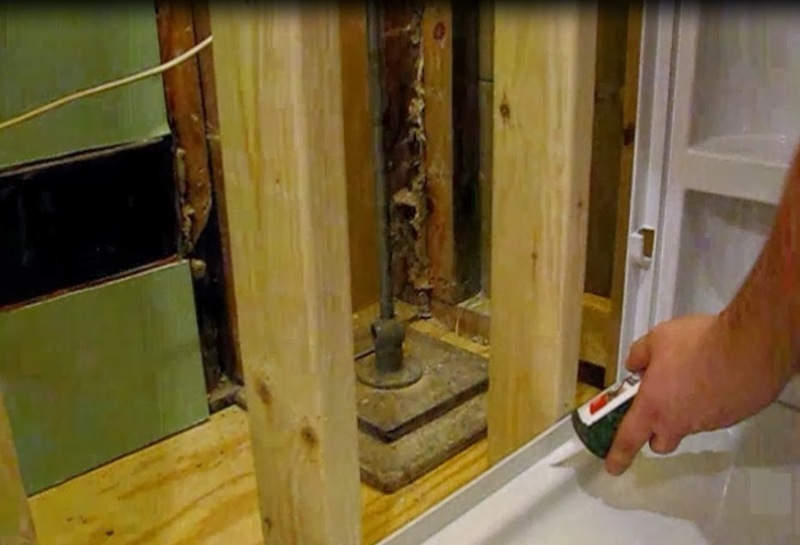 Do you caulk the vertical seams? We did not. We followed Sterling's directions and they didn't mention it. I suppose it wouldn't hurt though. Thank for looking at the post. I'm looking at installing a similar shower in a basement on concrete floor. 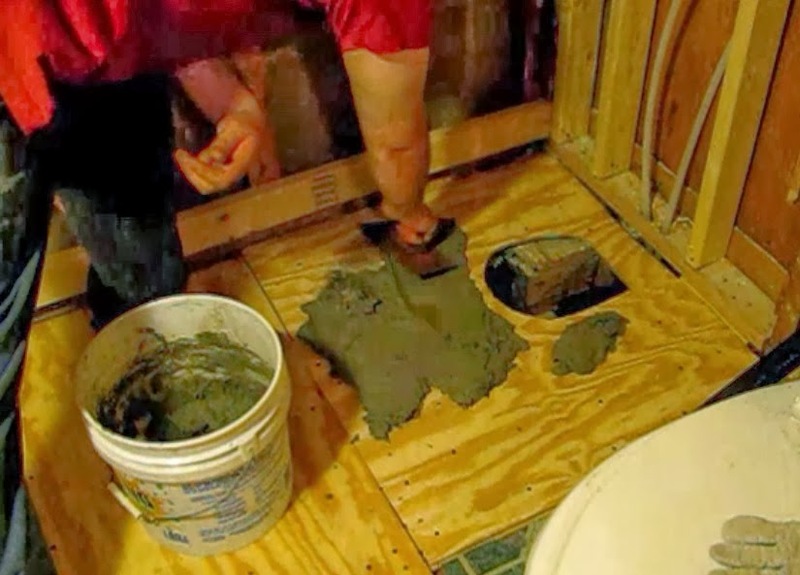 Is the Base Mortar still a necessary step or is that because of the subfloor? Which type of shower base do you recommend for this? I mean a center drain one or a base with left sided drainage system.